The last year and a half has been a transitional time starting off as a newly graduated dentist, getting my first real job as an associate, and becoming an owner in my first dental practice. Even though I am no longer freaking out at the idea of going to work, it’s amazing to reflect and watch my concerns shift as I become more comfortable with the patient care aspect of dentistry and now face different challenges such as managing team members. The first few months out of school were overwhelming, to say the least. It was show time and I had to put my degree to the test and apply everything I learned in dental school in a private practice setting. I wasn’t confined to three-hour appointment blocks or limited by start checks from faculty. It no longer took four three-hour appointments to complete an exam, come up with a treatment plan, prep a crown, temporize it and take the final impression. My biggest struggles starting out were time management, clinical quality and patient case presentation. Time management was the biggest challenge because in dental school we had a three-hour block to devote entirely to one patient and only had to focus on one thing at a time. Working with assistants in the office helped improve my efficiency, and I was able to learn how to multi-task better. Treatment time also significantly decreased due to utilization of CEREC® CAD/CAM technology. Like most new grads, I felt insecure about my clinical skills. I knew I could do great direct restorations and simple endodontic cases, but I had limited experiences with CEREC CAD/CAM and surgery. Clinical confidence comes with time and competency comes with practice, experience, and patience. Luckily I was working directly with my mentor, Dr. Cody Mugleston, and had him as a safety net if I wanted a second opinion or hands-on assisting. Having his support gave me the confidence to do dentistry and to challenge myself to expand my existing skill set. I couldn’t let my insecurities and fears get in the way of treating my patients so I used every opportunity to shadow other doctors, ask questions and attend CE courses. There were so many times that I’d get home from work and rethink cases over and over again and ask myself what I could have improved. I’d beat myself up because I was disappointed in an outcome or felt like I could’ve done something differently. I feel that this struggle and introspection has made me a stronger clinician. Working as an associate made me realize the importance of treatment planning and effective case presentation. I was used to being proper and scientific in my explanations during dental school, but patients don’t understand what “clinical attachment loss” or periodontal disease means so I learned quickly that when discussing my proposed treatment plan I had to be clear and relatable. Additionally, I had to be intentional with my presentation to make sure that I was not overwhelming the patient with extensive treatment plans that didn’t address his/her chief concern. At around the six-month mark I finally hit my stride in the office. I felt comfortable diagnosing and treatment planning complex cases, significantly improved my ability to communicate clearly and effectively with patients, and was confident performing dental procedures. This was a great feeling! My mindset shifted and I wasn’t worrying about whether or not my bridge would fit in the mouth perfectly. I trusted my clinical skills and judgment enough to know that my outcomes would be desirable. Instead of being stressed about the details I embraced the details because I wanted to continue to push myself to be a better clinician and get even better results. At this point, I can truly say I am living the good life and enjoying the perks of being a new dentist. I’m finally able to do the job I’ve been training for my entire life, have a steady paycheck and have evenings and weekends to myself. When I leave work I don’t have to worry about lab work, homework or tests. If I have other work to do at home it’s because I want to, like writing this blog post. It’s been almost seven months on my own and my office has grown so much that I’ve already hired a part-time associate, another front office team member, and another dental assistant! It’s been an exciting journey, but this is just the beginning for me. I’m looking forward to experiencing continued personal and professional growth. 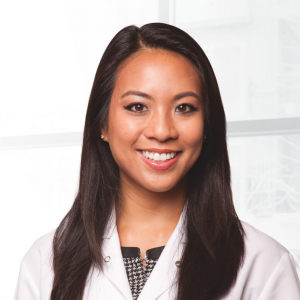 Dr. Bianca Velayo is a New Dentist Now guest blogger. She is a member of the American Dental Association, Nevada Dental Association and Southern Nevada Dental Society where she currently serves on the New Dentist Committee. She grew up on Long Island, New York and received her D.M.D. from Tufts University School of Dental Medicine in 2015. During her time in Boston, she was an active member of her school’s ASDA Chapter and the Massachusetts Dental Society. After graduation Dr. Velayo moved to Henderson, Nevada to work as an associate dentist in a PDS-supported office. Dr. Velayo is the owner of Green Valley Smiles Dentistry, a PDS-supported practice. In her spare time she enjoys working out, playing music and spending time with her friends and family. Great Post! Points mentioned here are unique and very informative for newly graduated dentis. Welcome Dr. Bianca Velayo! Great Post and we look forward to reading more from you! Best the Team at 24 Hour Dental. It is never been an easy task for fresh graduates to face the challenge posed by patients & dentistry organization. But to come out as a winner is itself a challenge, So best wishes to all of them to make it big during challenging times. Hi Dr. Velayo, as a dental school applicant I’m very worried about the large debt I’ll be left with after I graduate. Was this a difficult situation for you to handle? Or was the steady income sufficient enough to make payments on the debt? I’ve also heard that for many years after dental school you’ll be living like a college student again because of all the dental bills you’ll pay. Please enlighten me with additional information. Thank you! Congrats Dr. Velayo on your first year out of dental school. As a fellow dentist in Cerritos I recommend that you build strong professional relationships and align yourself with great organizations like the ADA and local ones pertinent to your community. As a current dental school student, I really appreciate reading about another persons experience after dental school. I also struggle a lot with time management, and I’m nervous about being expected to handle multiple patients at once. I’m grateful to hear that working with assistance helps improve efficiency. Congratulations on your first year out of dental school. Indeed, time management is the biggest challenge for the new dentists. This is so spot on! Welcome to the world of private dental practice, Dr. Bianca Velayo. It may full of challenges, but everything will turn out for the best. Wishing you a good and prosperous journey in dentistry. Your work is so passionate. You have done a great job for humanity. Thanks for the sharing such nice post. You have done a great job and that;s the humanity. Just keep sharing this kind of great works.